We all wish that we could lose weight quickly, but so many diet plans seem too good to be true. If you’ve ever heard of the Isagenix diet and its promises to help you shed fat rapidly, you may be skeptical. With all of the information out there on the Internet, what is fact and what is fiction? Below, read the answers to your most burning questions about Isagenix! The Isagenix diet is geared toward helping you lose weight quickly by replacing some of your regular foods with shakes and snacks. That may sound restricting, but never fear! You can still eat many of your favorite foods! When you start Isagenix, you’ll get a guide to healthy eating while on the program so you can learn how to satisfy your sweet tooth while still shedding unwanted weight. Isagenix also includes tonics, supplements, and cleanses to help you make the most of your weight-loss efforts. These products contain vitamins and herbs that boost energy and nourish your body. Most people looking to start Isagenix begin with the 30-Day Weight Loss System: it’s the most recommended way to begin the Isagenix lifestyle. What Do You Get With the 30-Day Weight Loss System? Losing weight can be hard, especially when you have to figure out what to do and what to eat all by yourself. With the Isagenix packs, you can take the guesswork out of dieting! You’ll get everything you need to start shedding fat quickly. These are the products that you’ll need to use Isagenix for 30 days. During this time, the Isagenix system will help you lose weight quickly, improve muscle tone, and resist cravings. So What Do All of These Products Actually Do? 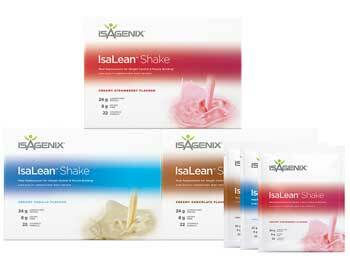 IsaLean Shakes are meal-replacement shakes made from milk or whey. One shake contains only 240 calories and packs a whopping 24 grams of protein. There are even dairy-free options available if you’re vegan or lactose intolerant. Ionix Supreme is a tonic containing a multitude of vitamins and adaptogens designed to speed up muscle recovery to keep you moving. 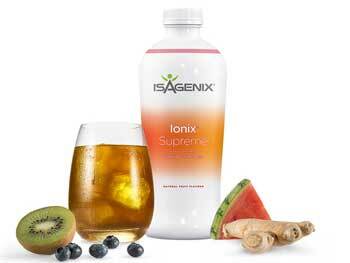 Ionix Supreme is great for recovering after a tough workout. Nourish for Life is a mixture of B-vitamins to support the body’s functions, reduce tiredness and fatigue, and contribute to normal energy-yielding metabolism. If you’re going to lose weight, you need to be able to move, so this product is essential! 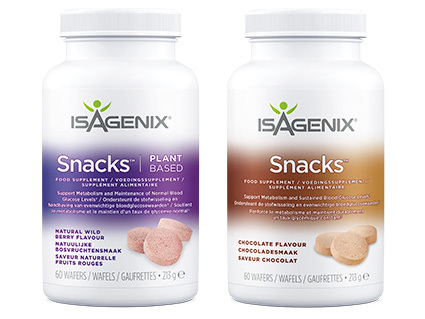 Isagenix Snacks are exactly what they sound like: snacks to keep you going between meals. There are many options to choose from, so you’ll never be bored. 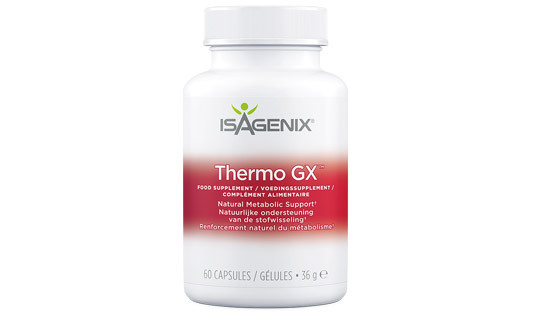 Thermo GX is a mixture of niacin, chromium, green tea extract, cayenne, cinnamon, apple cider vinegar, and cocoa seed specially formulated to support your metabolism. What’s even better is that it provides energy without any artificial stimulants. 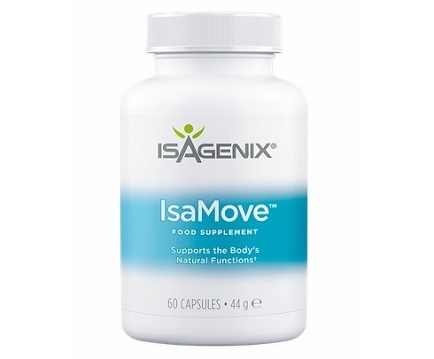 IsaMove is a supplement made of 200 mg of magnesium with psyllium and peppermint. You take this supplement before bed so the natural ingredients can work overnight to support your body’s functions. When you wake up, you’ll be energised and ready to tackle the day! There are other options for getting started on Isagenix. You can try the Isagenix Shake and Nourish Pack if you want a smaller pack option, or the 30 Day Energy & Performance System if you’re an athlete looking to enhance your performance. You can also get a number of products individually to supplement your program. The best way to start Isagenix is with the 30-day Weight Loss System. On shakes days, two of your meals will be replaced with IsaLean Shakes. For the third meal, you’ll eat something healthy that ranges between 400 and 600 calories and is low in carbohydrates. Your meal should also pack a good deal of protein and healthy fats. Between meals, you’ll take your Isagenix supplements to help boost your energy and give you the vitamins and nutrients that your body needs. You can also have two healthy snacks to keep your cravings at bay and boost your energy. These snacks should be low in sugar and other carbs. Once or twice per week, you’ll do your cleanse days. On these days, you’ll abstain from meals, using Nourish For Life instead. You can also have two small healthy snacks. 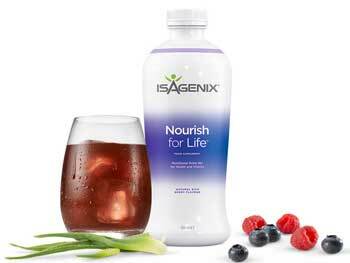 The basic idea behind Isagenix is to use intermittent fasting to improve weight loss and boost metabolism. While it can be difficult to abstain from food, building cleanse days into the program is one of the best ways to speed up weight loss. You’re probably hoping that Isagenix will give you results without having to sweat it out in the gym every morning. We all have those days when getting out to exercise is a monumental task. When following the Isagenix diet, exercise is certainly encouraged. Many of the products are designed to help build muscle while burning fat, which can be hard to accomplish without exercise. However, many of the products in the Isagenix line are designed to speed recovery and boost energy. Even if you hate exercise, Isagenix can help make those workouts seem like less of a chore. If you still find exercising to be a struggle, try taking the work out of your workout! There are lots of ways to burn calories that don’t require a gym. Take a walk along the beach. Jump on a trampoline. Play laser tag. The best workout plans are the ones that are the most fun! What are the benefits of the Isagenix diet? If you follow Isagenix carefully, you will lose weight more quickly than you ever thought possible! The Isagenix program creates a large calorie deficit (when you burn more calories than you eat). Additionally, there is evidence that the intermittent fasting promoted by Isagenix can speed weight loss significantly. One of the major benefits of Isagenix is how easy it is. Much of what you consume on the program is pre-portioned. Because many people struggle with portion control, pre-portioned products can prevent overeating and keep you from bingeing on foods that will sabotage your efforts. Instead of measuring your portions and counting your calories, you can focus on enjoying your food. It is important, however, to make sure that the one free meal per day doesn’t turn into a binge. When you eat your full meal, keep the portions under control and choose healthy, non-processed foods. Isagenix is also convenient. 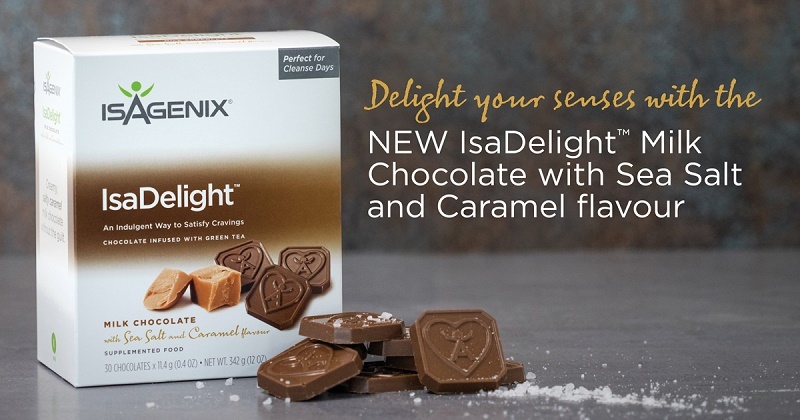 Instead of searching through the market for healthy foods and reading nutrition labels to figure out what is in those foods, Isagenix comes right to your door. You can easily choose your products online to personalise your program. Then, all you have to do is follow the instructions, and you’re on your way to weight-loss success. Another great benefit to Isagenix is the variety. A lot of dieters complain that they get bored eating the same things every day. However, on this program, you have tons of options to choose from. These are only a few of the options you can choose from. Whatever you’re craving, you’ll find something to satisfy. What Should I Eat While Following the Isagenix Diet? There are a few things to consider when making your shopping list. First of all, you want to have a good balance of nutrients. On Isagenix, you want to eat meals that are high in protein and low in sugar and other carbohydrates. In addition, the healthiest options are always whole foods with minimal processing. 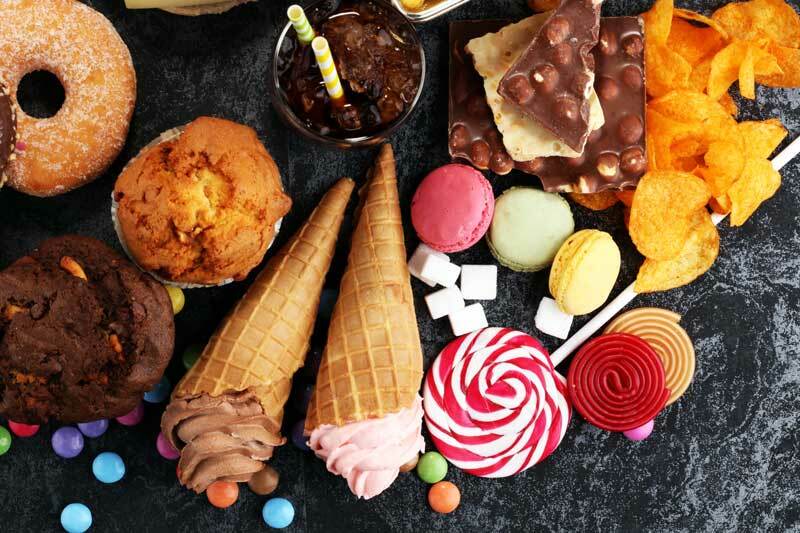 Processed foods have a lot of unhealthy additives that can sabotage your diet. The key to food shopping on Isagenix is to look at the list of ingredients. The fewer the ingredients, the better. There are some foods that you definitely want to avoid while following the Isagenix diet. For example, foods high in sugar and other carbs are foods you don’t want to have around. The bottom line: if there are a lot of steps between nature and your plate, it’s not something you want to eat while following Isagenix. This may be one of the toughest parts of Isagenix for some people. It can be difficult to get going in the morning without that first cup of coffee. During the initial weight loss phase (like when following the 30-Day Weight Loss System), you should try to stay away from coffee and other artificial sources of caffeine. This is all part of the Isagenix cleansing process. Without artificial caffeine in your body, the program can cleanse your body much more quickly. However, if you need a little extra energy, you can try some herbal tea. This is a natural source of caffeine that can give you a boost of energy without sabotaging your cleanse. When you’re trying to maintain your weight, it’s fine to add a little caffeine back into your diet. However, be careful not to load it up with milk and sugar! Where Can I Find Isagenix-Approved Recipes? There are a lot of places to find Isagenix recipes. For example, on nutritionalcleanse.co.uk you can find five categories of tasty recipes for meals like protein-packed waffles and Cocoa Coconut Protein Balls that are Isagenix friendly. IsaFYI.com is also a great resource. 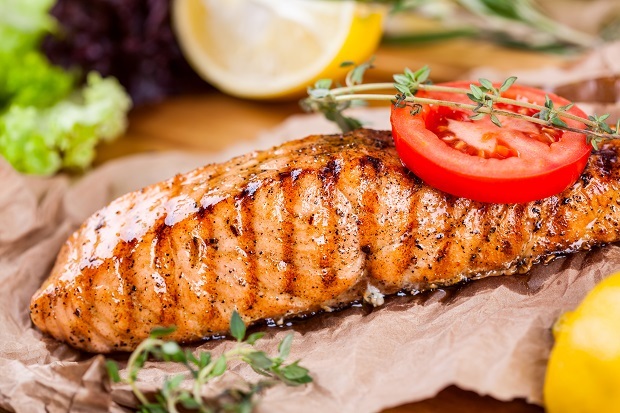 Some yummy low-calorie recipes here include chicken drumsticks, veggie burgers, and baked salmon. Pinterest is also a great resource for recipes. Lots of people have Pinterest boards full of Isagenix-inspired recipes such as ranch roasted chickpeas, fudge, and spicy guacamole. However, you don’t need to stick to recipes that are labeled “Isagenix-approved.” Just take some time to look at the ingredients and nutritional information. Are all of the ingredients whole, unprocessed foods? Does one serving contain 400-600 calories? Is the recipe low in carbohydrates? If you answer “yes” to all three of these questions, you’re probably looking at an Isagenix-approved recipe! 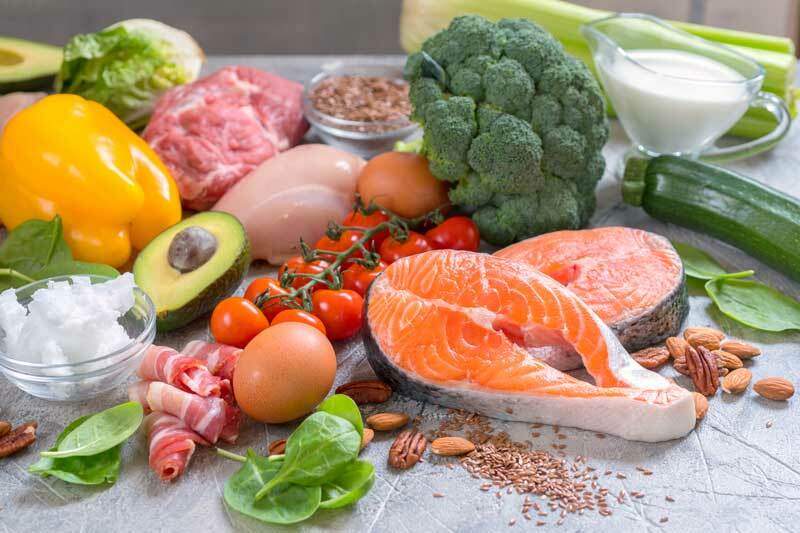 You may be hearing a lot of buzz about Keto diets these days. These diets promise to make your body more efficient at burning fat and call for a diet low in carbohydrates and high in fat. So, can you do Isagenix while following a keto diet? Absolutely! In fact, Isagenix was the pioneer of keto! 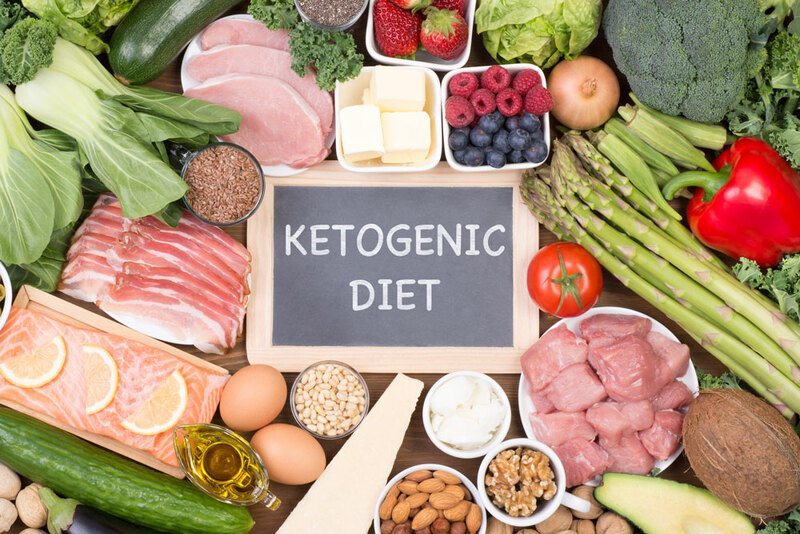 Basically, the idea behind keto is to put your body in a state of “ketosis”: this means that your body will be using fat as fuel instead of carbs. This is the ideal situation for someone trying to lose weight because it maximises the results of every minute of exercise that you do, even just walking around the office. The great thing about Isagenix is that it allows you to put your body into ketosis without spending a ton of time counting your carbohydrate and fat intake. If you follow the system Isagenix provides for you, your body will enter ketosis and start melting the fat away. Can I Do Isagenix If I Have Dietary Restrictions? If you have a food allergy (such as Celiac disease) or participate in a vegan lifestyle, don’t count Isagenix out. There are plenty of products that will meet your needs. Most Isagenix products are gluten-free, and many are suitable for vegans. You can even choose a dairy-free starter pack if you’re vegan or lactose-intolerant. 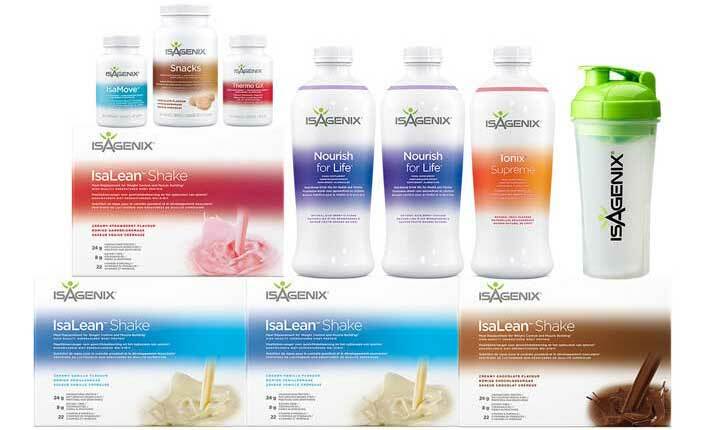 There are numerous options you can choose from when starting Isagenix. The standard 30-day Weight Loss System begins at £227.00. There are also other plans that cost more or less, depending on the specific products you select. Individual products are much cheaper. For example, a pack of Whey Thins costs only £14.00. Are There Any Risks With Isagenix? An important thing to remember is that Isagenix only works if you follow the program closely. If you overeat between shakes or at your one free meal, you won’t see the same results. Additionally, it’s important to use the suggested supplements when following the Isagenix diet. All diets need to be nutritionally balanced, and the supplements will make sure that your body gets the nutrients that it needs.